The drive to Kalbarri was only going to be short compared to the Perth to Geraldton leg. On the way, we detoured to Herrocks where we stopped at 3 Mile beach. We enjoyed the jetty walk and was lucky enough to see some people fishing for puffer blowfish. 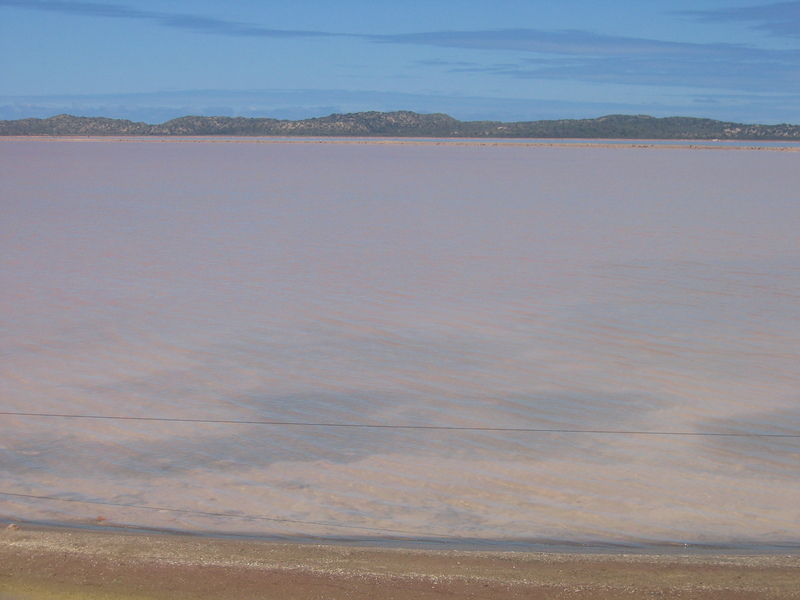 On the way to Kalbarri, we also drove past the Pink Lake. It’s actually pink due to a species of algae that is of that colour that produces beta-carotene (Vitamin A). The Lake is privately owned and Vitamin A is “harvested” here. Kalbarri is a seaside town and is practically picture perfect. We went canoeing in the Murchison River and soaked up the sun. Until the sky turned grey and the winds picked up. There was no doubt a storm was coming and here we were rowing against the current. From where we sat in the 3-man canoe, we could see the mouth of the river which pours out to the Indian Ocean. This could get catastrophic if we didn’t get to shore fast! So all three of us rowed and rowed and rowed! But we did not feel like we were gaining any ground… in fact at times, spun in circles!! What felt like hours of rowing, and with the lactic acid building in our arms, we made it to shore to find that we had only been out for half an hour. The storm did hit and we just hope tomorrow brings better weather. This entry was posted in Western Australia and tagged Geraldton, Indian Ocean, Kalbarri Western Australia, Murchison River, Perth, Pink Lake. Somehow a trip that started off with us going to Japan turned into a family holiday to Western Australia. Perth is a very flat and quiet city and has no traffic. We LOVE this city! 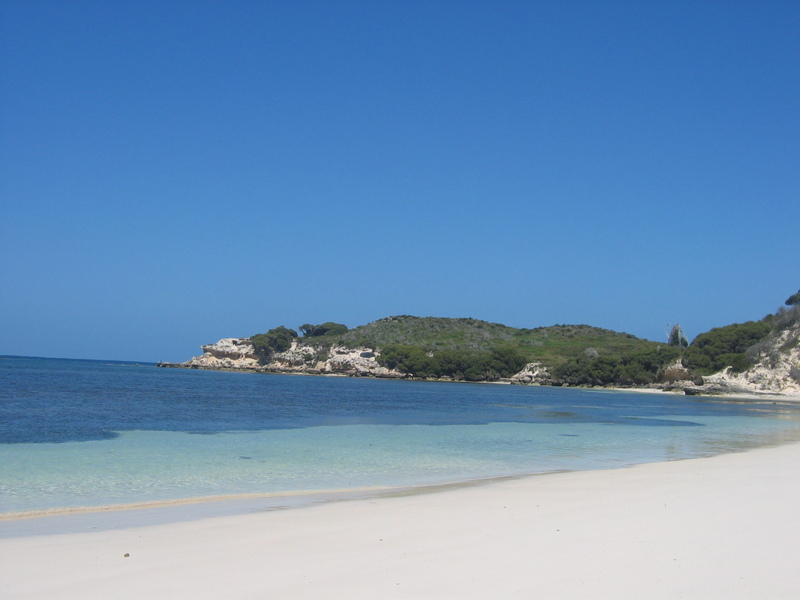 Rottnest Island is just off the coast near Fremantle, about a 25 minute ferry ride away. This is where we went for Day 1. On the way over, we were fortunate enough to see a humpback whale. swimming alongside the ferry. The ferry captain was wonderful enough to stop and let us spend a few minutes watching it. To get around Rottnes, there were a few options: buses that drive around the island in one direction, bicycles for hire or walking. The weather was perfect and the sun was out. Some of us went for a 3.3 km walk while the others pedalled. We all met up for lunch at Porpoise Bay on a secluded beaach. The water was crystal clear and the view was spectacular. 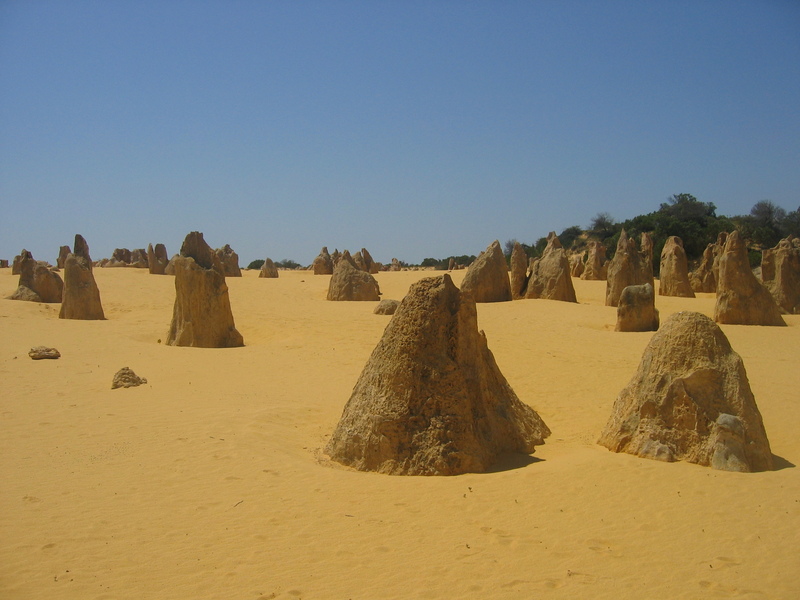 On Day 2, it was a long day on the road to Geraldton as we went via the Pinnacles. The roads although coastal are long, straight and narrow…. Even though a little bit out of the way, the Pinnacles were worthwhile to see. Its quite phenomenal seeing the big rocks (that almost look like termite mounds) sticking out of the desert sands! This entry was posted in Western Australia and tagged Australia, Geraldton, Rottnest Island, Western Australia.